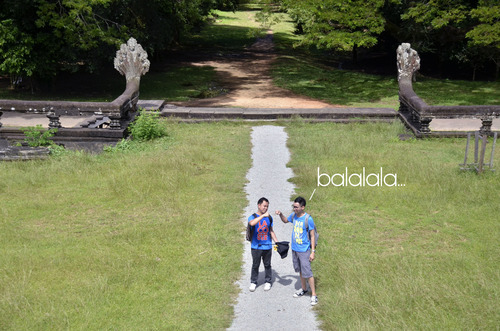 This trip was planned a year ago, when my friends and I decided to book tickets for Vietnam during a “Piso” sale. After booking and a year later, here’s what we did! 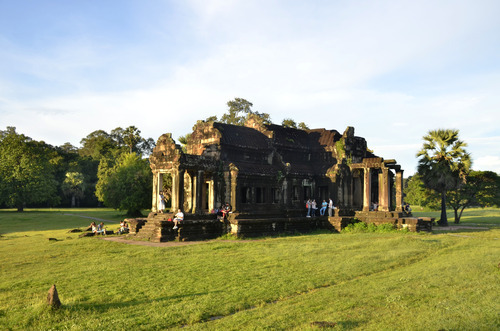 Vietnam was the country of our entry and exit, but we wanted to visit Cambodia, too, so we had to do A LOT of travelling if we wanted to fit all of our plans into our 6 days there. 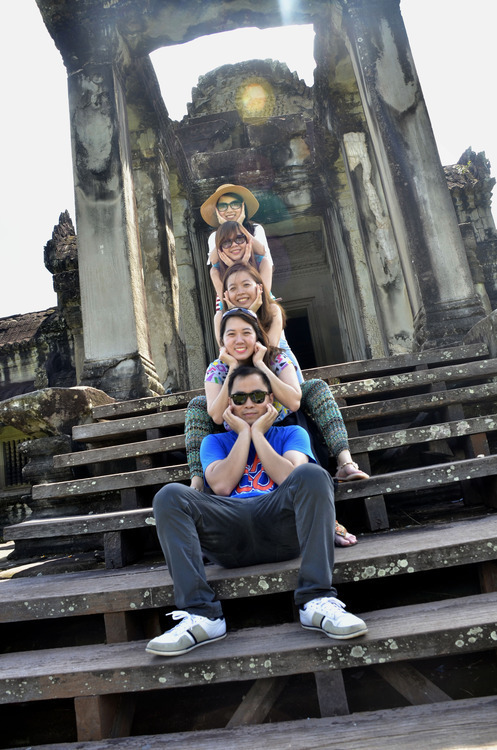 As soon as we got to Vietnam (at 12 midnight), and after we got scammed by our very first taxi ride, we slept at our hotel and early the very next day, we were on a bus to Siem Reap. Basically, on our first official day in Viet-Cam we were inside a bus. 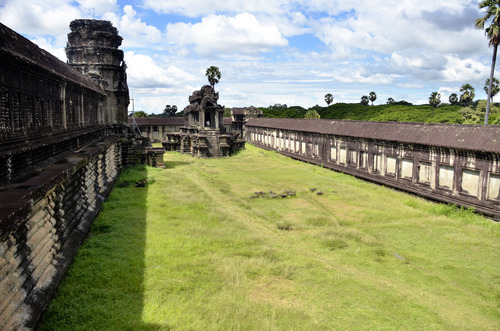 So I’m going to skip that and get straight to our first, major stop: Angkor Wat at Siem Reap. 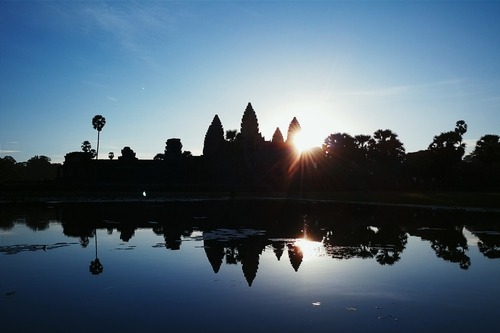 Even though we’ve barely had any sleep, we still got up very early to witness the magnificent sunrise at Angkor Wat. There were a bunch of people there when we arrived so we had to squeeze through the crowd to get to a good spot for photo taking. 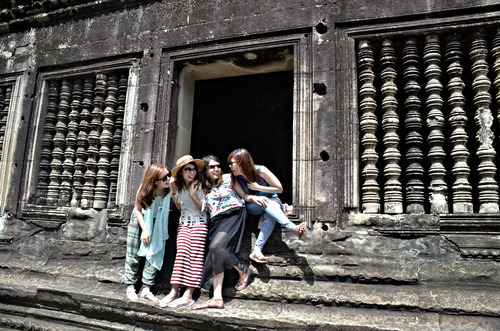 It was breath taking, watching the sun rise behind the ruins. 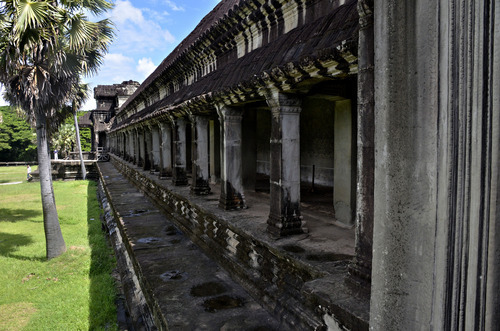 After the sunrise, we went back to the hotel to freshen up and returned to explore the ruins. 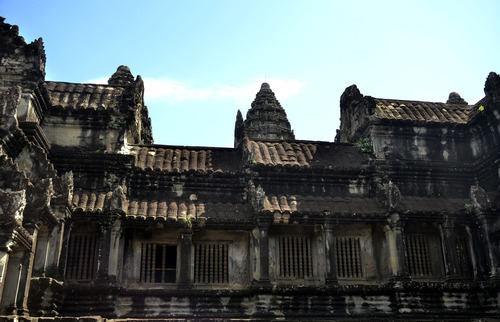 Our tuk-tuk driver (which I will tell you about at the end of this blog post) told us that an hour or so is enough to fully explore Angkor Wat. We, however, took around 2 hours or more! 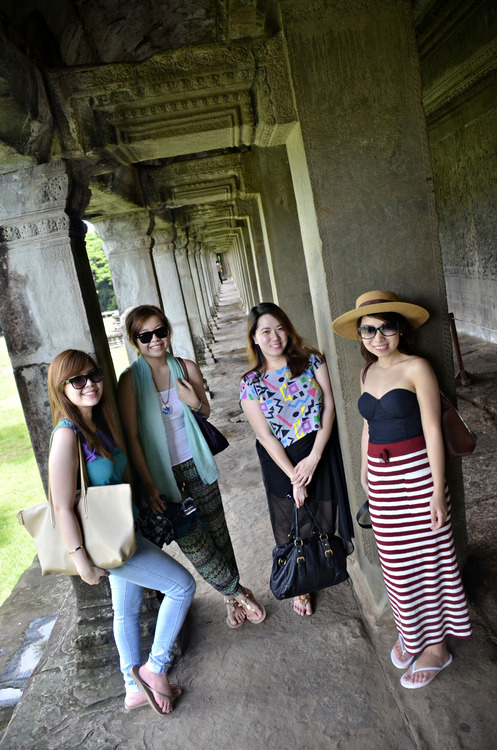 I think most of the time we were inside the ruins, we were taking photos… but hey, why not, right? 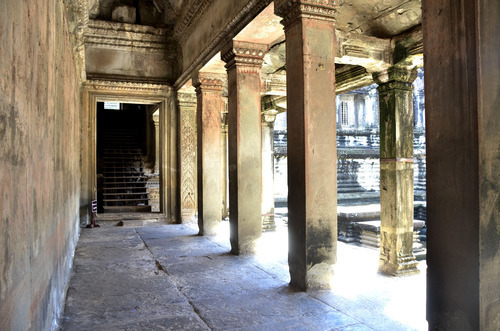 So, here are some of the photos (a mix of scenery and grou-fies) that we took while inside Angkor Wat. Enjoy! 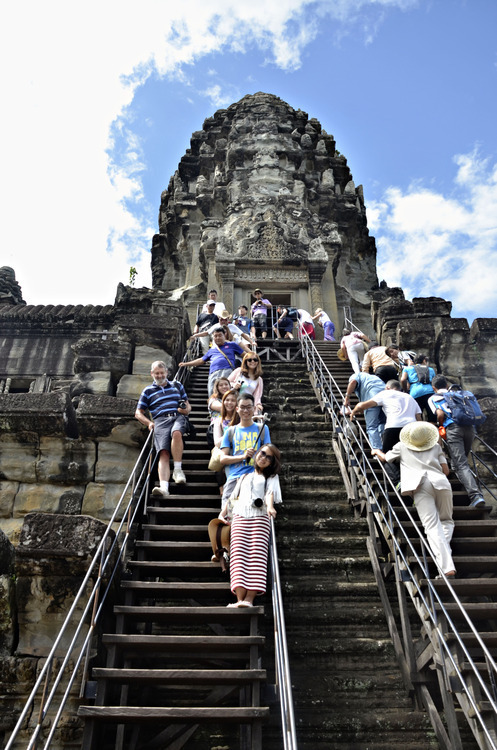 This is the part where you climb all the way up to the entrance of the “three towers” that’s set inside the temple grounds. 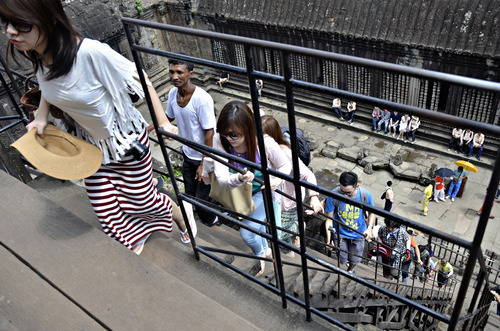 My knees were shaking the whole time I climbed up because it was so steep and there were a bunch of us using the stairs at the same time that I felt it was going to break! But the view was breath-taking. The girls had a mini photo shoot they called “Best Friends Forever”. In the shot, they’re seen laughing about something they’re talking about. It’s all fake laughs, though. (Don’t kill me. XD) But the photo looks pretty genuine, I think. They decided the guys needed a BFF shot, too. And this was what we came up with. 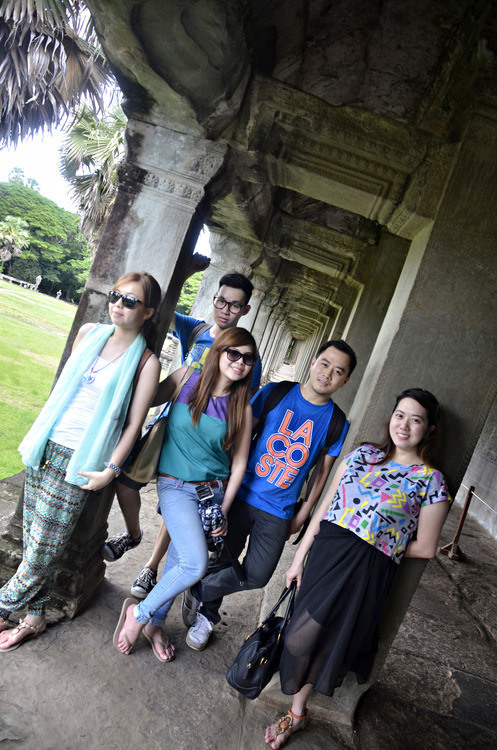 Anyways, we ended our Angkor Wat adventure with group photos and iced coffee. 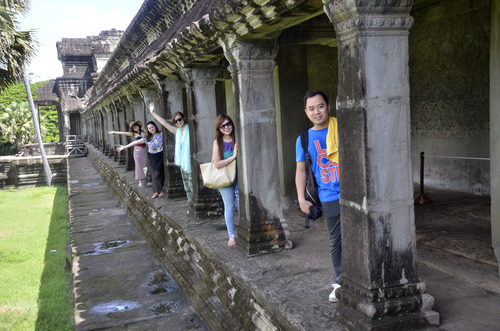 By the way, HAVE coffee (iced or not) anywhere in Cambodia or Vietnam. It is awesome. Make sure it’s their coffee and not imported ones. 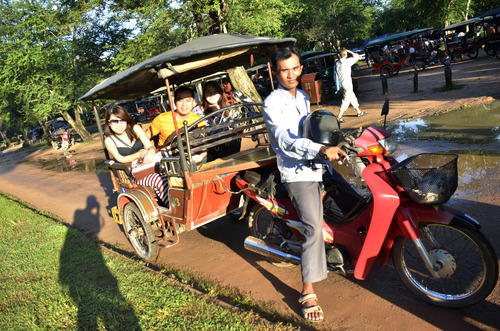 Like I said, I will talk about our tuk-tuk drivers at the end of this post. 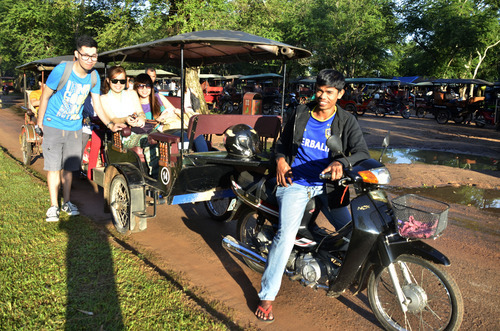 We had two tuk-tuk drivers with us during our stay at Siem Reap. First of all, they’re awesome. 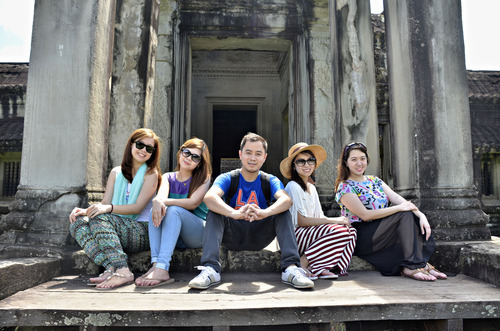 Second of all, if you’re ever visiting Siem Reap, I HIGHLY suggest you contact them! 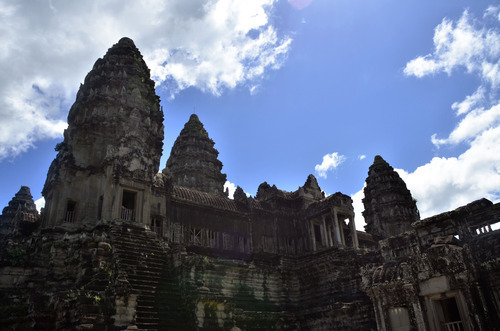 Visit his blog HERE to get more info in case you’re visiting Siem Reap. 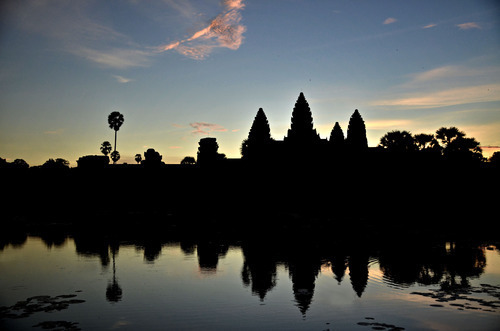 He also has a spot on tripadvisor’s list of Activities in Siem Reap! Check out the reviews! Our second driver is Mr. Sambo. He’s a bit more quiet than Paul but he’s super nice. On his card, it says: Faithful, Reliable and a Good Driver. I can vouch for all of that! 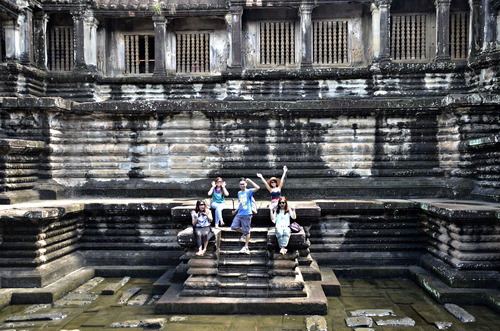 That’s it for our Angkor Wat adventure! 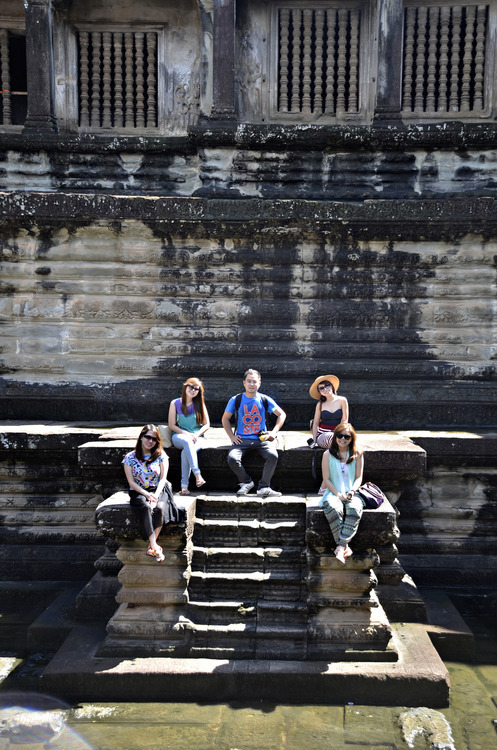 Next up is our trip to the other temples around Siem Reap, still together with our incredible drivers! Stay tuned!